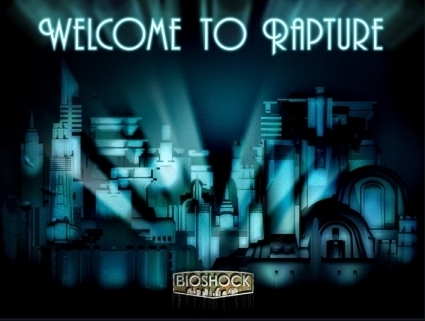 Rapture. . Wallpaper and background images in the Video Games club tagged: video game bioshock rapture. This Video Games photo contains street, city scene, and urban setting. There might also be business district, downtown, and brownstone. Bioshock looks wicked, really can't wait to pick it up and it's sequel later this year.